Casino Live is an iPhone game developed by Nurigames. 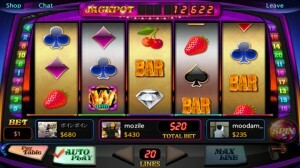 This fun app offers 12 casino favorites in one tidy package. Of course, that’s a bit misleading. While Casino Live does have some fun games, you should know that the 12-in-1 moniker is a bit off the mark. There are four games, one of which is slots (which comes in 9 different flavors). 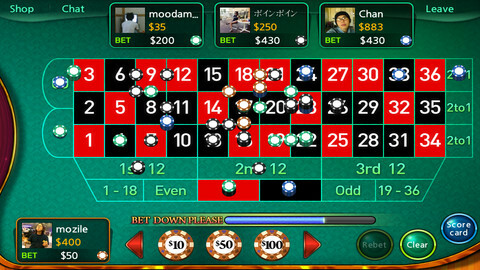 In addition to all of these slots games, users can also enjoy roulette, baccarat, and blackjack. Why there’s no poker is anybody’s guess. Poker’s not even my favorite (I vastly prefer blackjack and baccarat), but not having some form of poker just doesn’t seem right. After logging in with Facebook or as a guest, you can spin the wheel for your chance at a daily bonus of coins. Casino Live uses a 6 deck card system from actual Las Vegas hotel casinos, so you can enjoy the most realistic Baccarat and Blackjack games. The slots come in 7 different themes, including outer space, fruits, animals, aquatic life, Alice in Wonderland, and the Stone Age. 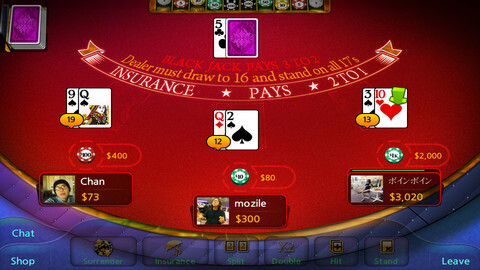 The other three games are played in a virtual dealer’s room with other players from all over the globe. You can actually chat with them, which helps to make this feel more communal and less like playing by yourself. There is a charming, 100% fully-voiced dealer calling each hand. 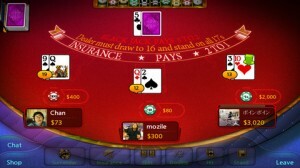 With that, plus sound effects, you really feel like you are in a seat at a real casino. The graphics are pretty decent, though this is clearly one of those iPhone games that can’t hold a candle to the iPad version. Things do feel a bit cramped on the iPhone. Whether you want to waste some time on your phone, or prepare your skills in anticipation of a weekend in Las Vegas or Atlantic City, Casino Live is a cheap way to get that lovely Casino thrill. 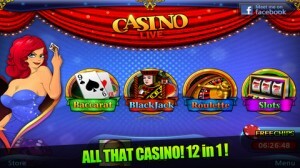 Casino Liveis compatible with iPhone, iPod touch, and iPad. Requires iOS 4.3 or later. This app is optimized for iPhone 5.